Junaid Munshi, Cell C's chief commercial officer. Although SA's biggest mobile network operators, Vodacom and MTN, have commenced 5G trials, the country's third biggest operator, Cell C, is taking a wait and see approach. 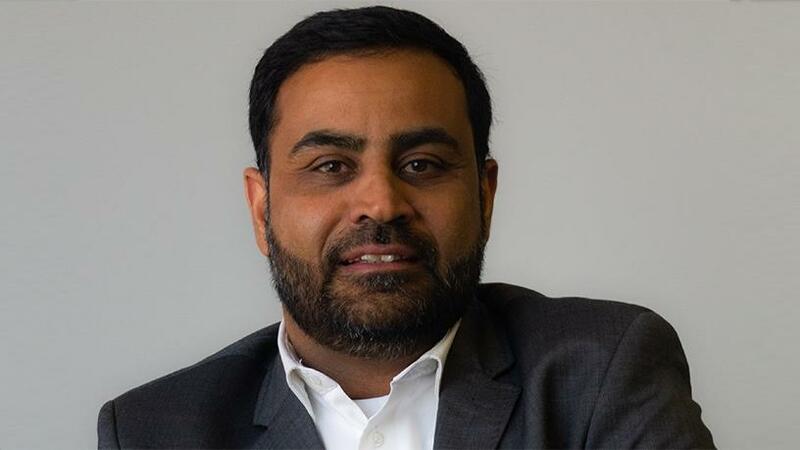 In an interview with ITWeb this week, Junaid Munshi, Cell C's newly appointed chief commercial officer, said in regards to 5G roll-out, the operator is assessing the South African market's readiness for the technology. "At this point in time, 5G, for us, has been more about showcasing the technology for the technology's sake," said Munshi. "At this stage, there are no plans afoot to look into any investment into 5G. However, we will continue to monitor the technology because it is important that we stay ahead of the curve and keep abreast with the developments that are happening in the industry," he added. Set to arrive within the next three years, 5G could account for as many as 1.4 billion connections by 2025, says the GSM Association. It points out that by then, 5G networks are likely to cover one-third of the world's population. Globally, forward-thinking companies like Verizon, AT&T, Nokia, Qualcomm, Intel and Sprint have started testing 5G technology. In SA, Vodacom, the country's biggest mobile network operator, signed a memorandum of understanding with Nokia in November last year to trial 5G to accelerate the launch of the new technology. In January, MTN, the second biggest operator in the country, and Ericsson announced the first 5G technology and applications trial in Africa, which is part of a 5G demonstration. Like Cell C, Telkom is also waiting for the 5G standards to be finalised before it does any major investing in the next-generation technology. Cell C yesterday announced interim results for the period ended 30 June, which it says signals "how SA's third largest telecommunications service provider is on track to deliver substantial growth through its strategic initiatives". To close the gap on Vodacom and MTN, Munshi said: "The fact that it's been 16 to 17 years that Cell C has been in business shows we are still standing and still going strong. "We are a confident number three operator in the South African market. It is probably fair to say we don't have the same resources the larger operators have but if you look at our capabilities to compete in certain market segments, we are still a formidable player in the market." He pointed out the company is continuing with the strategy it adopted a few years ago, which is to ensure Cell C always offers and brings value and innovative products to customers. "We work relentlessly to try and improve the quality of our network as far as we go," he said. Earlier this year, Cell C concluded a roaming agreement with MTN to complement its network. The agreement provides Cell C with wider 3G and 4G coverage, as well as automatic and seamless roaming access. "It now puts us in a much stronger position to be able to take services to more people that we have not been able to confidently address before," Munshi said. However, he pointed out that although the MTN arrangement will give Cell C massive scale, there are certain areas this arrangement does not cover. "These are areas where we will still be required to invest in our own infrastructure to be able to service those areas. We are continuing to invest steadily across the areas that we need to." According to Cell C, the rollout of this multibillion-rand long-term roaming agreement has already begun and areas currently benefiting from this deal include Witbank, Middelburg, Secunda, Ermelo and Standerton. "We are also trying to reshape ourselves in order to become more customer-centric and making customer-centricity a very strong focus area for ourselves going forward," he added. Cell C has introduced a slew of data products since Munshi's appointment. Earlier this month, Cell C took the wraps off its fixed LTE-Advanced promotional offer, bringing customers data access from less than R5 per gigabyte. Users can select from one of three packages to get the best value data deals. A 50GB contract for R359 per month (R7 per gigabyte), a 100GB contract for R539 per month (R5.40 per gigabyte) and a 200GB contract for R859 per month (R4.30 per gigabyte). The data is available for use at any time of the day or night, and works within the Cell C LTE-A coverage area. Last month, the operator also launched new WhatsApp bundles, with access to Facebook included in the deal. Cell C says its three new bundles in the "ShoutOut" range will also include access to Facebook; doubling the number of platforms that customers can use these bundles for. "We have so far seen a very good uptake of these bundle offers," he said. In regards to fibre, Munshi said Cell C has been selling fibre in the past two years and the operator is continuing to work with existing fibre network operators. "We are not really putting a lot of infrastructure into the ground ourselves but we are working with existing partners like OpenServe and Vumatel to be able to reach our solutions to consumers who are interested in that. What we bring to the table is essentially the service element that we have. We will also be launching a couple of value-added services that come with fibre, in a couple of weeks from now."